You probably know vitamin C as the ultimate immune booster for cold and flu season, but there's so much more to this remarkable vitamin -- and some of its other functions may surprise you. 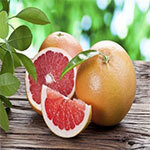 Vitamin C is a powerful antioxidant that is essential for overall wellness. 1. Vitamin C is a natural antihistamine. It is an effective remedy to have on hand during allergy season and has been shown to help alleviate symptoms of allergic rhinitis, or hay fever. 2. Vitamin C is vital for the production and maintenance of collagen, the protein that makes up the connective tissues in our skin, ligaments, cartilage, and bones. Vitamin C helps to keep joints flexible, and studies find that it can help slow the progression of arthritis. 3. It's essential for healthy eyes. Vitamin C is present in very high levels in the eye, which protects against free-radical damage from UV light. It helps strengthen the capillaries in the eye and helps to maintain the shape of the cornea. Studies show that vitamin C may prevent the formation of cataracts. 4. Our teeth need vitamin C. Low levels of C are often associated with gingivitis, or inflammation of the gums. Vitamin C promotes healing of the gums, especially if they're bleeding. 5. Vitamin C is easily destroyed by heat. And because it's water soluble, this vitamin can be drained off in liquids used in food preparation. To ensure that you're getting the full vitamin C value in foods like broccoli, grapefruit, kale, lemons, mangos, oranges, peppers, spinach, strawberries, and tomatoes, it's best to eat them raw or minimally processed.